Shopify is a complete ecommerce business solution that lets you own and operate an online store. With shopify, you can organize an online store and customize the front to your liking. Your customers can pay you with credit cards and order as many products as they want. You are also able to track orders and respond to queries all from the comfort of your chair. Shopify provides customers with different payment plans to suit the individual needs of different people. You have the Lite plan which will cost you $9 per month, Basic plan for $29 per month and an advanced plan that will cost you up to $300 per month among others. The more you pay per month, the more features you get to enjoy. If you are just getting started with shopify, it is advised that you test the waters with the simpler packages. Shopify comes with a user friendly interface that allows you to run your online store efficiently. There is an endless list of videos and articles on how to improve your experience using shopify and related apps. Unlike most self-hosted platforms, Shopify is easier to set up and operate without fussing over development and server cost. Shopify also takes care of all the technical aspects of running an online store. The software and hosting is all provided for you, making it easy for you to get started. Shopify provides you with a secure and reliable ecommerce solution that is well worth the price. Since you’ll be dealing with impatient customers and sensitive credit card information, Shopify ensures your store is always up, with pages that load fast. The information shared between you and your customers is also stored in secure servers. Shopify also offers 24/7 customer support for all your needs. You can find them via phone, email and web chat whenever you have queries. They are known for their fairly instant responses. This means that your online store will always be up and running. People are now visiting websites more from mobile phones than desktops. This means that there is an increasing need to create websites that are mobile friendly. Shopify has you covered on this. Your customers can visit your store from any device which means more business for you. The Shopify app store is streaming with all kinds of apps you can add to improve your experience on Shopify. From here you can add functionality such as reviews, print labels, customer wish list, social media sites, get access to in-depth analytics and integrate with your accounting software among others Shopify software. Once you set up a Shopify online store, you’ll need to find ways to get your message out. This is where Search Engine Optimization (SEO) comes in. 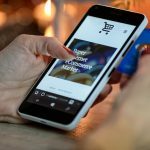 Shopify provides you with essential SEO tools you can take advantage of and improve your store’s ranking on search engines. Social media integration and email marketing are just some of the tools you can use to improve both visibility and productivity. Just like a physical store, it might take a while before you start doing good business. To promote your store, use different methods to improve its online presence. Social media is a great place to start. Since Facebook doesn’t cost you a dime to set up, you can take advantage of this and create a following. As your page visitors increase, so will your leads. Avoid black hat marketing and always respect your customers and it will only be a matter of time before you understand the industry and start making money of your own.